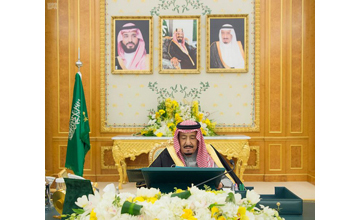 (Riyadh) – Saudi Cabinet, chaired by the Custodian of the Two Holy Mosques King Salman bin Adulaziz Al-Saud, reviewed a number of events and their developments at regional and international arenas, Saudi Press Agency (SPA) reported. The session, while commenting on the United Nations Security Council’s open discussion on the “Status in the Middle East, including the Palestinian Cause”, asserted that Jerusalem (Al-Quds) is the eternal historic capital of Palestine, in accordance with international resolutions, and that any action being taken by Israeli occupation authorities is null and void and only fuels tension in the Middle East region and undermines the chances of achieving a comprehensive and lasting solution based on the two-state solution and the establishment of an independent Palestinian state with Al-Quds as its capital. With reference to Yemen and what is happening in the interim capital of (Aden), the Saudi cabinet called for calm and restraint as well as adherence to the language of calm dialogue. 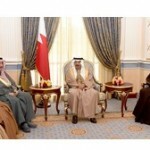 It called on all parties to consider the national responsibility in steering the joint work with the Coalition for Supporting the Legitimacy in Yemen to complete the liberation of all Yemeni territories and defeat Al-Houthi militias of Iran and avoid any reasons that may lead to division and undermining the State’s institutions in Yemen. It also reiterared the Saudi-led Arab Coalition’s call on all parties to stop all clashes immediately and end all armed manifestations, and its confirmation that it will take all necessary measures to restore security and stability in Aden and its call to focus on basic objectives, foremost among them is restoring the legitimacy, protecting the components of the State and restoring security and stability as well as resolving all issues through available political mechanisms in accordance with the terms of the three references.